When asked when Nintendo was founded, most people will say either the 1970s or 1980s. They would be shocked to learn that one of the biggest video game companies was founded long before televisions were even a thought. Founded 23 September 1889 (that’s right, eighteen eighty-nine) by Fusajiro Yamauchi, Nintendo Koppai started out as a card company in Kyoto, Japan, specializing in a card game called Hanafuda. Despite switching to video games, the company still makes these cards, and in fact even makes a special Mario-themed set. In 1956, Yamauchi’s grandson, Hiroshi Yamauchi, visited the United States to talk with the United States Playing Card Company. While there, he found that the world’s largest card manufacturer was being run out of a small office. That’s when he realized that the card playing industry was very limiting. He gained access to use Disney characters on the Nintendo cards to help expand the company. In 1963, the company started experimenting in other areas to attempt to expand the company in new ways, including a taxi company, a love hotel chain, a TV network, a food company (selling instant rice, similar to instant noodles) and several other things. All of these ventures failed. In 1966, they tried making toys, such as the Ultra Hand. Even though it was successful, the company was struggling to make enough to satisfy the demand. In 1974, Nintendo obtained the rights to distribute a new product called a video game console, specifically, the Magnavox Odyssey. In 1977, a student product developer named Shigeru Miyamoto was hired by Nintendo. He changed Nintendo’s future in 1981 when he made a little game called Donkey Kong. The previous year, 1980, Nintendo had released it’s very own game console, called the Family Computer, or “Famicom”. 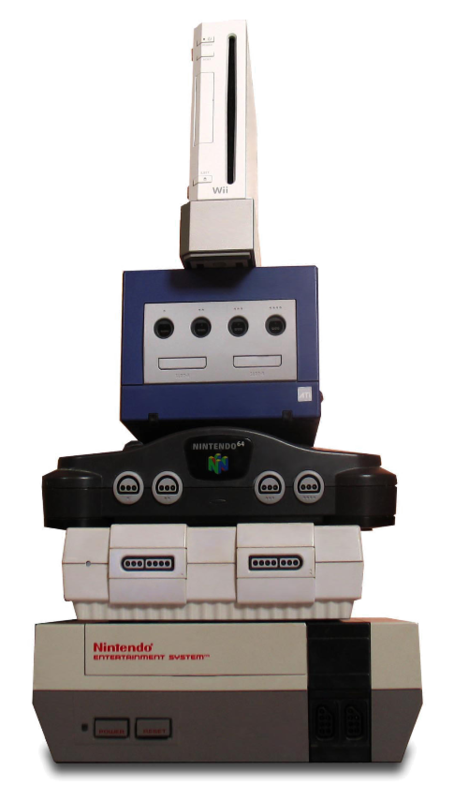 In North America, the console is known as the Nintendo Entertainment System, or “NES”. This entry was posted in The Elder Blog. Bookmark the permalink.